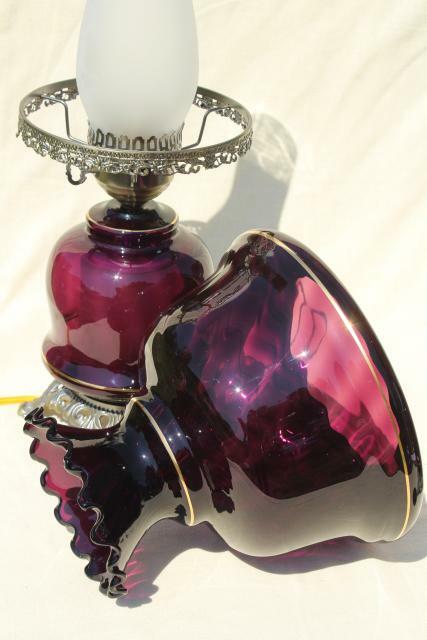 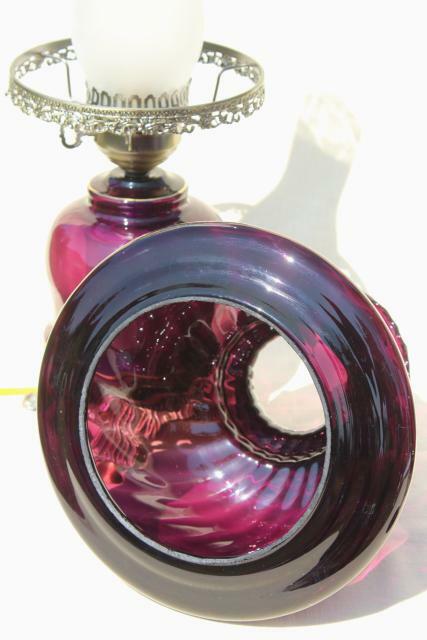 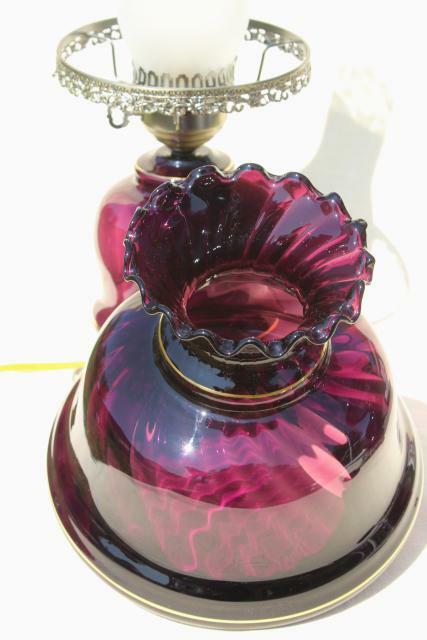 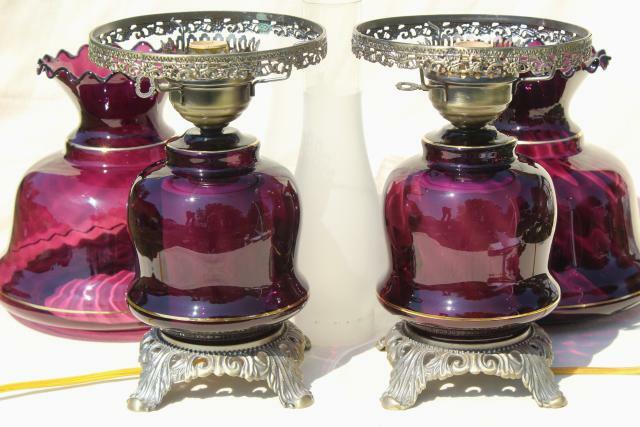 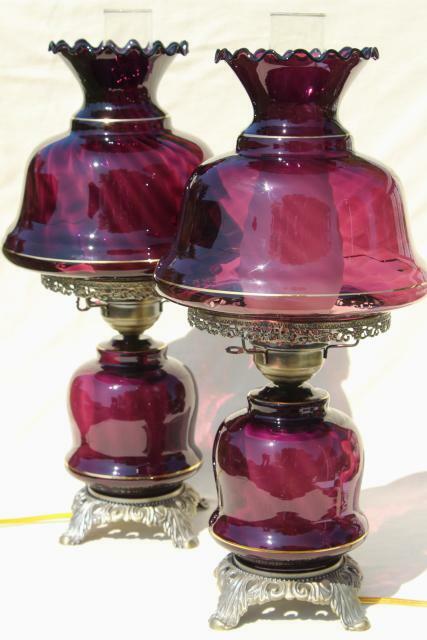 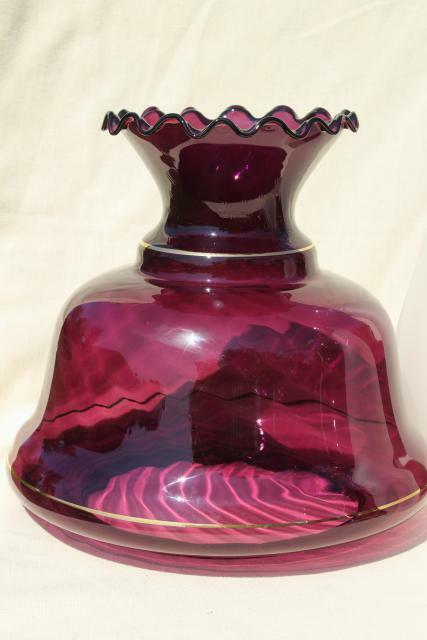 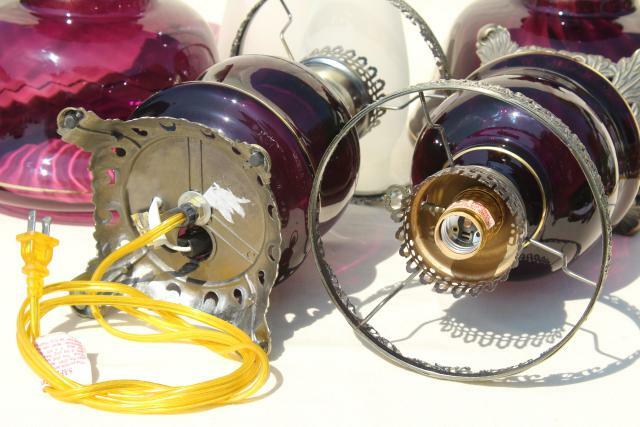 Pair of beautiful vintage amethyst glass lamps, probably Quoizel, we think? 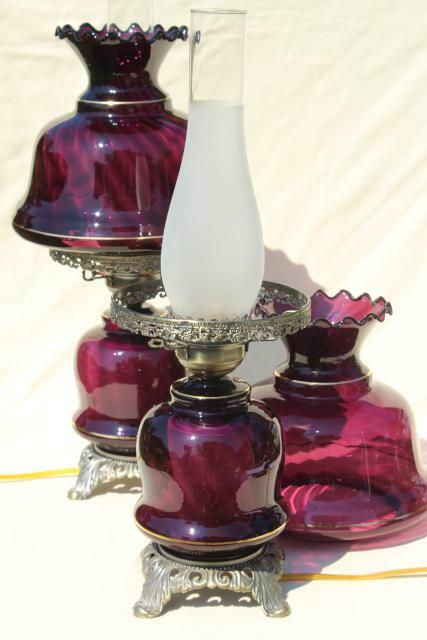 These are 22 1/2" tall to the top of the chimneys, with shades about 10" in diameter x 10" deep (6 7/8" fitters). 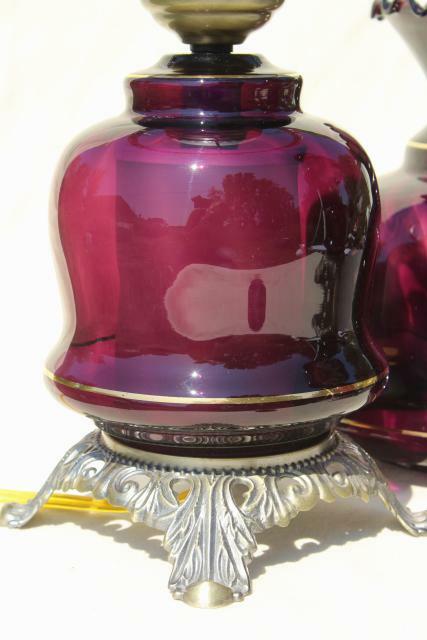 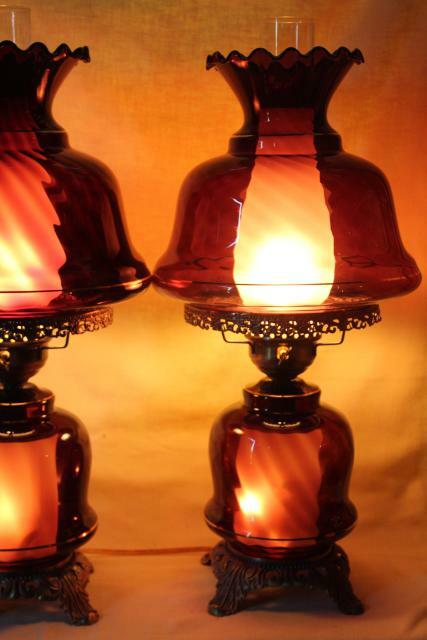 The glass lamp bases and shades are all in very nice condition, and the metalwork looks good without rust spotting. 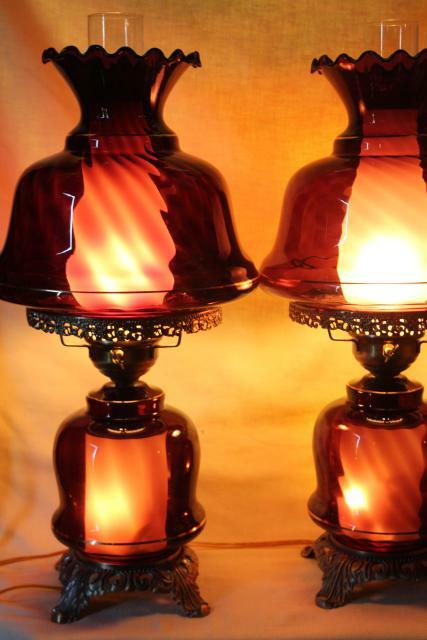 These work fine, and look gorgeous when lit, as you can see!